This is a gentle, loving novel about Shakespeare, social awkwardness, and the antiquarian book trade. It is a love story and, surprisingly, a page-turning mystery. 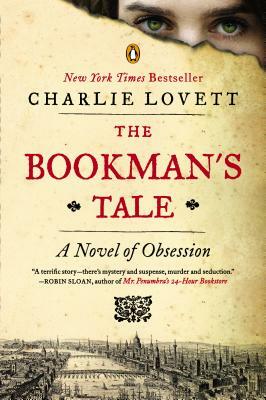 Lovett is an antiquarian bookseller who writes of what he knows - and his passion shines through every twist and every chapter. A mysterious portrait ignites an antiquarian bookseller’s search through time and the works of Shakespeare for his lost love. Charlie Lovett’s new book, The Lost Book of the Grail, is now available. Nine months after the death of his beloved wife Amanda left him shattered, Peter Byerly, a young antiquarian bookseller, relocates from North Carolina to the English countryside, hoping to outrun his grief and rediscover the joy he once took in collecting and restoring rare books. But upon opening an eighteenth-century study of Shakespeare forgeries, he discovers a Victorian watercolor of a woman who bears an uncanny resemblance to Amanda. Peter becomes obsessed with learning the picture’s origins and braves a host of dangers to follow a trail of clues back across the centuries—all the way to Shakespeare’s time and a priceless literary artifact that could prove, once and for all, the truth about the Bard’s real identity. Charlie Lovett is a writer, teacher, and playwright whose plays for children have been seen in more than three thousand productions worldwide. He served for more than a decade as writer in residence at Summit School in Winston-Salem, North Carolina. He is a former antiquarian bookseller, and he has collected rare books and other materials related to Lewis Carroll for more than twenty-five years. He and his wife, Janice, split their time between Winston-Salem and Kingham, Oxfordshire.